After owning our previous homes, my wife and i had a great idea of what exactly we were looking for. We purchased the home in 2011 and Menkes has been great. We visited the site daily and even raised our concerns during the construction process which they rectified quickly! (brick pattern was incorrect). Even after closing they took care of all of our concerns and even to this day, we still email their customer service (Dana) who is very helpful with supplying (which contractors did what so we can have certain projects continued by them) Like mentioned we were on the site on a regular basis and compared to our other house (during construction) the site was always kept clean. When we took possession we did have a home inspector in just to double check and we were happy that everything was good (with some minor fixes). Altogether we liked the entire process we had with Menkes and would buy from them again. We were looking for a contractor to do a concrete shed pad for us and after calling 6 - 7 contractors all of them basically declined because the job was not big enough or worth their time. We wanted a 8x10 shed pad poured. After finding Tom, he came in on the agreed upon date and finished the job the by the end of the same day (he started early morning). He came back a few days later (after the concrete set) and removed and collected his forms. I am not sure how others paid, but i only gave a partial to start the job and the remaining balance at the end of the job. I will say, he did try to charge extra for dirt removal which was supposed to be included. Other then that, the pad looked great and he put a nice border on it. I was there during the whole process from when they dug the ground (tamped it down), put up the forms, put in the gravel (tamped it down), put the rebar in place to finally having a concrete cement truck come in to supply the concrete needed to do the job. We had this done in the fall, and after going through this winter, the shed pad still looks great and hasn't budged an inch. They used a small bobcat to move the dirt and concrete back and forth and did put down plywood on my grass to try to protect it. I checked the pad to make sure it was level after the fact and it was perfect and also located where i wanted it. Overall i am happy as he came in and did a job that other contractors that i actually found here on homestars would not do or basically "flopped" on and never showed up. Generally when we find a company that has done right by us in the past we go back to them when we need something new in the future. Well, we have had Nima and his crew do work for us in the past (ecobee tstat and lennox humidifier) and we didn't hesitate to go back to them this time around. We had them install a Lennox 2.5 Ton AC and the work was done quickly and very neatly. They cleaned up all the work/ boxes and left my home tidy afterwords. We had them come back a 3rd time and install a Navien Tankless HW heater and we couldn't be happier. We still have a few more projects (bbq gas line and IAQ) and we will be coming back again to Mr. Heat. Hello Jay; We appreciate your business and look forward to serving you in the future. Thank you. Selection is great, we searched many places for a style that we liked and couldnt find it at the bigger box stores. Surprisingly, they had 2 styles we liked right away. Their staff is friendly and answered all of our questions. They worked with us on budget also... would shop their again! This is my second time buying Maxx shower doors from plumbing and parts and i have been happy both times. Very friendly/knowledgable staff with no pressure to buy. We purchased our doors before our house closed and they kept ours aside till we were ready for them. We were missing one part during the install and they put one aside for me same day to make sure the install was completed. Selection is good and the store layout makes it easy to browse their products. My neighbor actually found Keith and was having his new house inspected before his 30 day PDI. We observed him as he was inspecting my neighbors house and after a glowing review from them, we decided to use him for our house. The inspection took around 3 - 4 hours and he was very thorough. We had gone through the house before hand and he had a lot of even the "minor" things we did plus his list was another three pages long of things we had no clue to look for. We submitted his findings to the builder and our builder is taking care of everything. He was very polite and took the time to explain his findings and contacting him afterwords for the things he was double checking was easy. He even went onto the roof... i mention this as our last inspector for our previous hosue only "observed" the roof. Will use again when needed. Thanks Jay for taking the time to place the review. Moving in to a new house is such a busy time, you definitely made the right choice to have a professional 30 day inspection done on this one. Let's hope the builder pulls through with the repairs so you don't have to repeat the issues on the one year form . Watch the prescribed timelines as per the Tarion website, and just call if you need further support. We visited many stores searching for dark grey hardwood flooring but to our amazment, many places didnt even carry any colors in grey. Dodd and Souter not only had grey, but multiple choices for us to choose from. 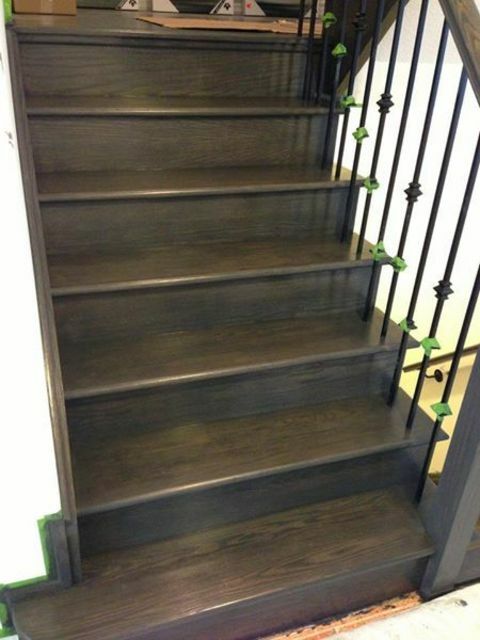 We were slightly concernced with getting our stairs to match the flooring but that was taken care of when they were able to order the stain directly from the manufacturer. Service was good they answered all of our questions. They also kept good contact with us while our order was in place. We would shop there again in the future. I chose to go with Sentinel after visiting their site and a few others. It was very clean and the security looked good. They have a personal code at the gate and each locker has an alarm plus someone is always on site. The staff was very friendly and always very helpful. One big advantage with using Sentinel is they let you borrow their moving truck for free. (you just need to pay for mileage). They will also give you a discount if you have CAA and stay their longer. Their facility is open 24/7 so your belongings are always accessible when you need. Overall, very happy with them. We used the honest movers just this past september to move into our new house. They were very carefull with our furniture and belongings packed everything in the moving truck very neatly and tightly with lots of moving blankets. They managed to complete the move in about 4 hours. The two gentlement who helped during our move were also very cautious of our new house and made sure to lay out runners and protectors when they were moving us in. I would use them again in the future! Our builder used the services of Deluxe Alarms for all of the pre-wiring of our newly built house and we also went with them for our new alarm. Everything we had asked/purchased was done and the alarm service is great. I called on a few occassions for help and they promptly sent someone by to help fix the issues. The monitoring service works well, as my VOIP goes down on occassion when i am doing maintenance and they promptly call to see if there is any issues. 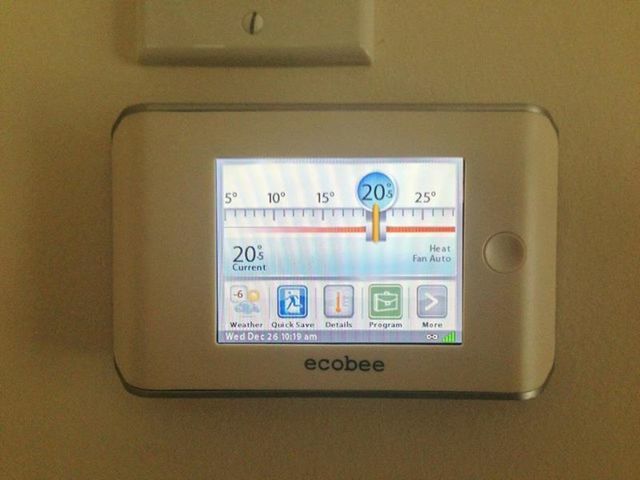 Had Mr Heat come by during the holidays and instal a home humidifier controlled by the new Ecobee Tstat. Everything was installed in about 2.5 hours. Job was neat and quick and they answered all my questions during the install... will be using them again in the near future to get an AC unit. We really appreciate your business and looking forward to help you with your other hvac projects.